Greetings, 2014 Innovation Summit participants! When you arrive at the Denver International Airport, there will be CMG transportation personnel there -- near baggage claim and ground transportation -- to greet you. They'll be holding big, visible "Cox Media Group" signs. These nice people will drive you from the airport to your hotel in Boulder. They'll also take you back to the airport when the event finishes on Oct. 9. Speaking of your hotels: By Sept. 19, we will send you an email notifying you which hotel you've been assigned. It will be either the Boulderado or St. Julien. We've done our best to accommodate everyone's request, but couldn't comply with all. They are both very nice hotels located within walking distance to the Pearl Street Mall. 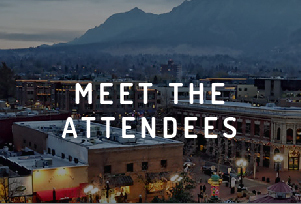 Our venues this year are the Boulder Museum of Contemporary Art (Tuesday night reception), and the stadium club at Folsom Field (Wednesday and Thursday meetings). That's right, we are meeting at a football stadium. Shuttles will take you from your hotel to the meeting venues each day (though, if the weather is nice, you might opt to walk from your hotel to the reception on Tuesday night). Dress for all events is casual. Legit casual. Not "business casual". This means you should wear jeans or something similar. Historical weather temperatures in Boulder suggest a high of about 70 degrees Fahrenheit and a low of about 40. A sweater or light jacket will probably come in handy. Cox Media Group is reimbursing you for your airfare (through the normal T&E methods). We are paying room and taxes for two nights at the hotel. All group meals will be paid for as well. That's the cocktail reception Tuesday night, breakfast and lunch on Wednesday, breakfast and lunch on Thursday. Room service, movies, laundry charges, etc. Any rental car costs, parking fees and such. Spontaneous bar hopping you decide to do. Anything else not covered in the list of stuff we are paying for. Regarding the Tuesday night reception: We will have PLENTY of food for both meat eaters and vegans in the crowd. This is not chips, queso and cheap beer. So don't spoil your appetite! Please be on time and don't plan on leaving early. You'll be assigned to a team. It's going to be fun, very busy and a little competitive. So your teammates will be counting on your full participation. You'll be receiving a couple of small homework assignments. They'll come to the postal address (not your email) that you provided in your application. So please be on the lookout and make sure to complete them by Oct. 2. I believe that's it for now. We're going to have a blast! If you have questions, please reach out to me at tim.lott@coxinc.com.